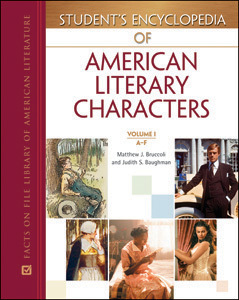 Student’s Encyclopedia of American Literary Characters is a comprehensive four-volume set designed to help students approach American literature in what is often the most appealing way—through the most memorable characters of the greatest works. Approximately 900 in-depth character entries, ranging from about 1,000 to 1,400 words each, are organized alphabetically by author and then by work. Each entry features an assessment of the character’s traits, as well as an indication of the character’s role in the work. Two to five discussion questions accompany each entry and help provide topics for papers or classroom discussion. Many questions draw parallels between various works of literature, encouraging students to make connections between literary texts, as emphasized by English Language Arts standards. This invaluable, clearly organized reference also includes further reading lists and an appendix of specialized indexes. The Younger family from A Raisin in the Sun. "This clearly organized reference work will be a welcome addition to high school libraries. Recommended." "...these clearly written, authoritative essays will be a boon to high school researchers." "...an excellent selection from the canon of classic and contemporary American authors…The language is uniformly clear and jargon-free…Recommended for larger libraries, especially those catering to students engaged in literary study."